Essays on historic and current anti-Semitism do an outstanding job of describing its chilling diversity. While the Holocaust was the worst crime of modern anti-Semitism, it was hardly alone. Libel, violence, and discrimination against Jews were regular problems in many countries long before Hitler. And in the nearly seven decades since, the problem of anti-Semitism continues in various forms around the world. 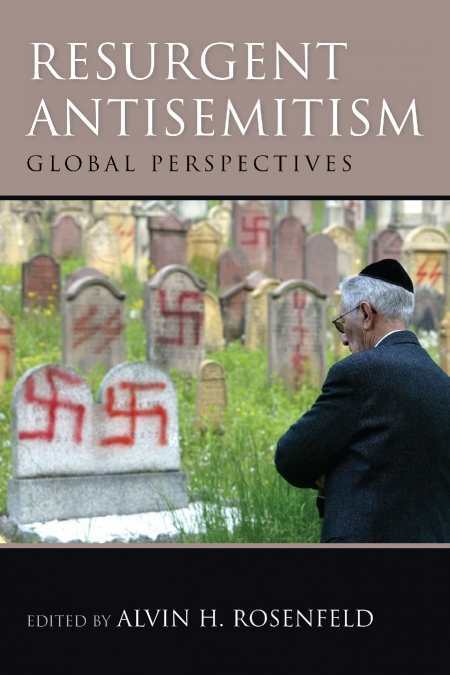 In Resurgent Antisemitism: Global Perspectives, editor Alvin H. Rosenfeld has compiled a fascinating, troubling collection of essays that examine the myriad ways anti-Semitism is manifested today. By including a number of nation-specific essays, the book highlights how a nation’s history influences the way its anti-Semitism takes shape. Alejandro Baer writes about the issue in Spain, which has a long history of anti-Semitism, from the forced conversion and expulsion during the Inquisition to the Franco government’s refusal to let Spanish Jews settle in the country during the Holocaust, even while asking the Nazis to spare Jews of Spanish descent in conquered territories. He cites nationwide studies that found majorities of Spaniards still believing in international Jewish conspiracies. Another example is a Pew study finding Spain the most anti-Semitic of Western European nations. In another piece, Zvi Gitelman looks at anti-Semitic attitudes in Romania and Hungary, and how the perception of Jewish cooperation with the USSR during and after the war has continued to drive anti-Semitism there. Eirik Eiglad writes about how anti-Semitism has spread in Norway since the 1970s, when it was rare, incited by the publication and popularity of racist pamphlets. Closer to home, Tammi Rossman-Benjamin examines recent events at San Francisco State University, where famous anti-Semites have become regular speakers and Jewish students have faced several high-profile incidents of harassment. Along with these and many other international perspectives, Rosenfeld includes essays that examine specific kinds of anti-Semitism, from attitudes toward Jews among young Muslims in Europe to discourse that tries to minimize the scope of the Holocaust, to the rise of anti-Zionism as a way of masking anti-Jewish sentiment by cloaking it in opposition to Israeli policy (while making attacks that go far beyond policy). Some essays focus on the results of survey data and other analytical measures, while others are more narrative and anecdotal. All styles combine to provide a well-rounded view of the problem. Despite its more than five hundred pages, the book’s many subjects and perspectives ensure it never ceases to be interesting, and it does an outstanding job of describing the chilling diversity of anti-Semitism today.